I mentioned in a previous post that I take preparing for winter power outages very seriously. 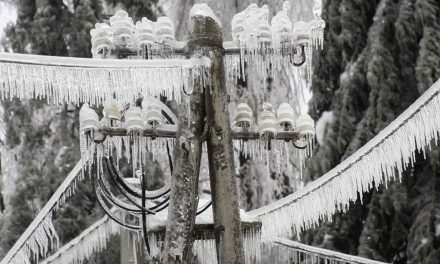 Where I live in Connecticut we are just coming off a multi-day power outage in temperatures that ranged from -6 degrees below fahrenheit to 6 above. In the week following the outage I learned I had two types of neighbor, one type had a way of keeping their home warm while the other type had broken pipes. It was a sad and horrible event to witness. Anyhow in my previous post I mentioned how I relied heavily on the Mr Heater Big Buddy portable propane heaters. Well Amazon and Google did their best snooping on me and started serving me advertisements for the Camco Olympian Wave 6 Portable LP Gas Catalytic Heater. This was actually a refresher more me because my camper used a propane catalytic heater. I won’t regurgitate all the info from the manufacturer that I have posted below but I will tell you the two best reasons to own a couple of these heaters is no flame and 99.98% efficiency. On the low setting you can run days on one 20# tank of propane. I plan on keeping one in the room where the water supply enters my home. Self-generating piezo starter lasts for 20,000 starts. 100% safety shut-off valve prevents non-ignition fuel discharge. Adjustable heat settings. No flame, no flue or chimney, no fan or blower and no noise. Wave Heaters can be used inside an RV as a portable unit (with leg stands) or permanently mounted. Wave Heaters can also be used outdoors as portable units (with optional leg stands, LP cylinder, regulator and hose assembly, all sold separately). No flame, flue or chimney. Self-generating piezo starter. 100% safety shut-off valve. Silent operation—no fan or blower noise. Use inside RV as portable unit or permanently mounted. Can also be used outdoors as portable unit. Heats up to 230 sq. ft. AGA and CGA approved. 3200 to 6000 BTUs. For use in vented areas only. The Camco Olympian RV Wave-6 LP Gas Catalytic Safety Heater is an ideal secondary heating source. It produces enough heat to warm 230 square feet of space. The heater operates on low pressure gas and can be wall mounted or used as a portable unit. It is equipped with a 100% safety shut-off valve to prevent accidental non-ignitions fuel discharge. The built-in automatic Piezoelectric sparker will last for 20,000 starts. There is no electrical drain or battery connection. The Wave 6 is adjustable from 3200 to 6000 BTU/hr. Catalytic heating is 99.98% efficient (flame type heaters waste up to 45% of all heat produced), resulting in a more efficient and low-cost heat. An ideal secondary heating source for your RV, home, or cabin. Camco Olympian series Wave heaters can be used as portable space heaters and in most cases can be wall mounted in the vertical position. * Olympian series Wave heaters operate on low pressure HD-5 propane gas only and are equipped with a safety shut-off valve to prevent accidental non-ignition fuel discharge. The built-in automatic electric Piezo sparker will last for 20,000 starts. Also, because it uses safe, clean and efficient propane there is never a drain on your battery. Camco Olympian Wave heaters are designed and built to provide years of comfortable, radiant heat and economical LP Gas consumption. Olympian heaters produce mostly radiant heat as a result of a flameless catalytic combustion process. Its efficiency is high because combustion takes place at relatively low temperatures. The radiant heat produced by Olympian heaters is particularly effective for creating a feeling of warm comfort similar to solar radiation. The sun is an excellent example of radiant heat transfer, because it transmits energy through space, releasing heat when its rays strike objects and people. Like the sun, Olympian heaters radiate heat directly to people, floors, walls and other objects without heating the air first, so warmth is felt immediately. Radiant heat is absorbed by objects and then emitted into the air to heat the surrounding area. Therefore, your Olympian heater should be oriented to direct its heat rays toward the space to be heated, much like a floodlight is positioned to illuminate a desired area. Camco Olympian Wave heaters utilize safe, clean efficient HD-5 propane gas. Heaters are designed to operate with a manifold pressure (the gas pressure downstream from the appliance controls) of 11 inch WC (0.40 psig). In addition, the supply line must be equipped at the cylinder with a listed low pressure regulator set to deliver the specified pressure. To ensure that you are getting a quality product, each Olympian Wave heater undergoes rigorous safety, performance and quality assurance testing before leaving the factory with the end goal to produce a product that delivers years of trouble-free service. Dimensions and weight: 17-7/8″ H x 12-13/16″ W x 4″ D. 12 lbs.